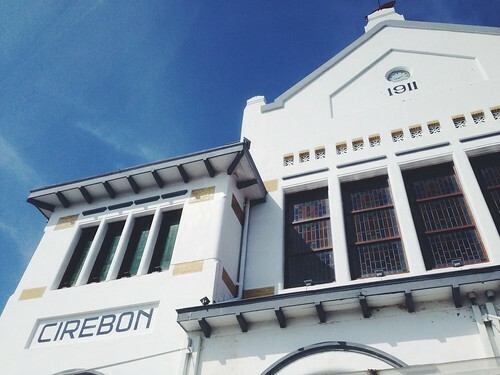 My visit to Cirebon, a small coastal town in West Java, was short. 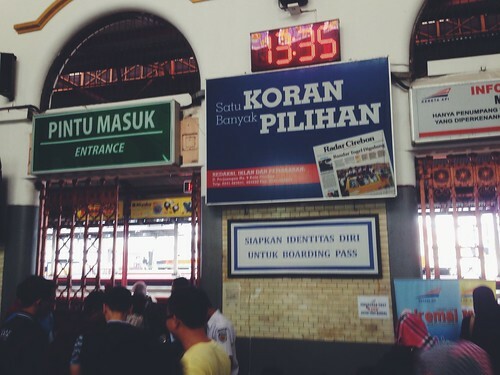 But, after visiting some of the historical sites the town had to offer, I decided that Kejaksan Train Station is the most interesting. 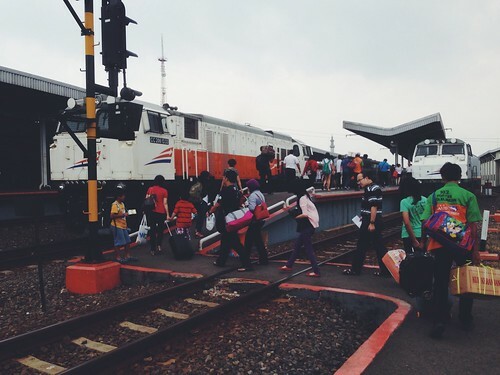 Like any other small town stations in Indonesia, it is busy and crowded. But once you can get past the crowd and the heat, you will notice that the station actually has many charms. 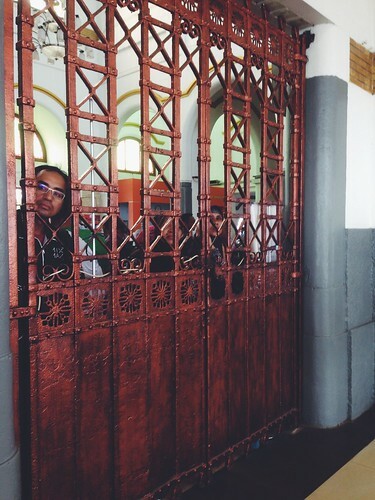 For example, this copper gate. 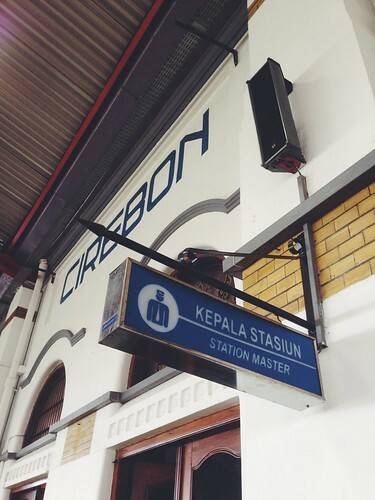 And this signage, which makes me want to knock on the door and meet the station master. 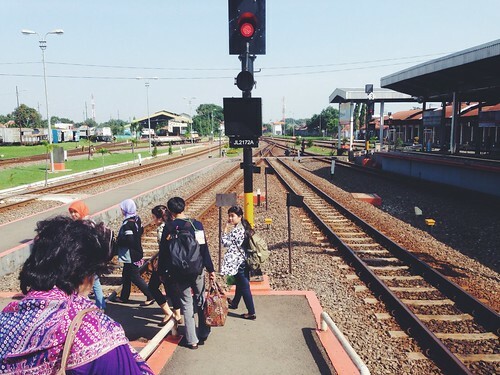 The fact that parts of the elevated platforms don’t have any shades is worrying though, considering it rains a lot in Cirebon.